Are you beyond ready for spring to finally get here? Me, too! 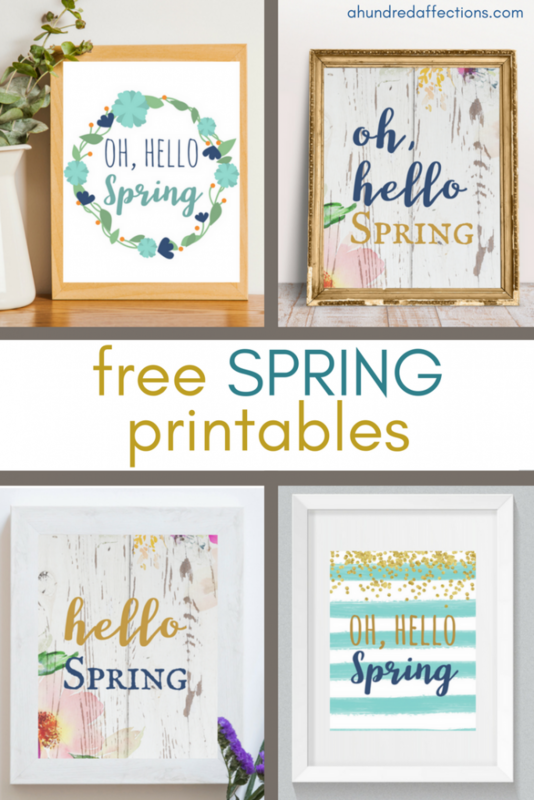 Grab this free printable wall art ‘Oh, Hello Spring’ – the perfect way to welcome spring’s long-awaited arrival! The month of March is such a tease. 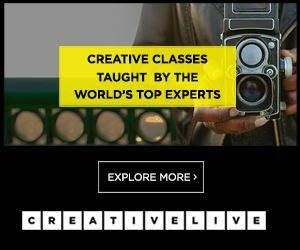 March isn’t the frigid polar vortex of January and February, the temperatures are slightly above freezing again, and you feel like every day should be inching you closer to spring. Not going backwards to winter. But I can’t help but feel like March betrays me every time. Last week on Long Island, we had a snowy nor’easter that brought about 6 inches of snow – not the worst storm in the world, but c’mon. It’s March. And now, we are due for another snowy nor’easter this week, only 7 days after the last one. In March. 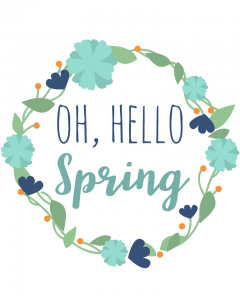 Seriously – does spring really have to drag her feet getting here? 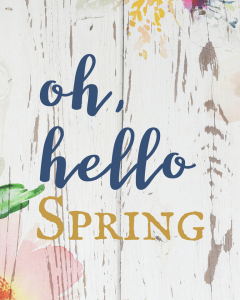 I am way beyond ready to say, ‘Hello, spring!’ Am I right?!? 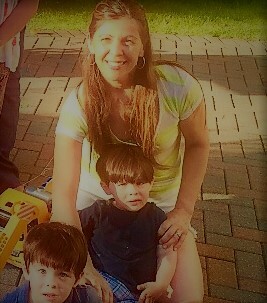 Spring NEEDS to get here. 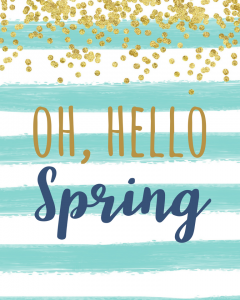 To help welcome spring who is like a typical girl in taking her sweet time in getting here, I’ve created some free printables for the home. There are four different designs, all in 8×10″. The first set of pictures are up-close views of the printables; the second photo is a collage that shows the printables in frames, to give you a little inspiration. To get yours, just fill in the box below! You will have access to all 4 designs! 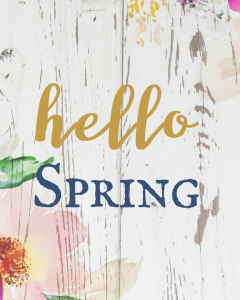 Spring, we are so ready for you! 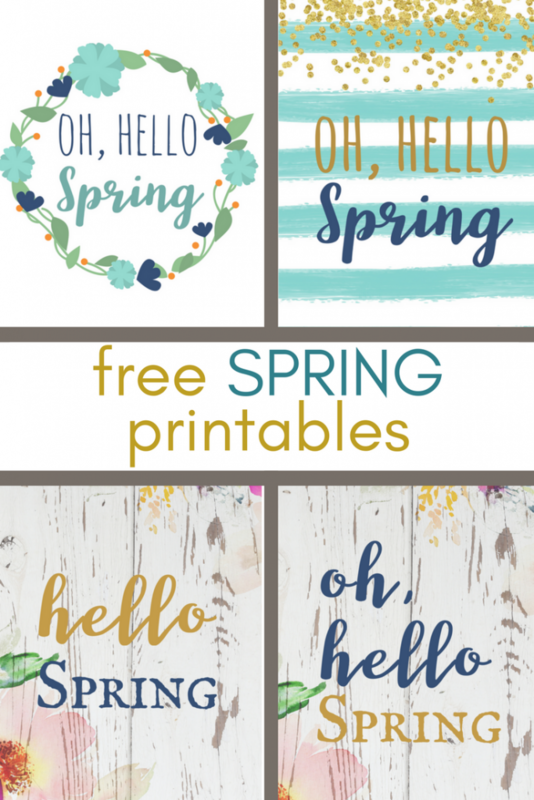 If you know anyone who would enjoy these spring wall art free printables, I would be so grateful if you shared it! For more spring inspiration, check these out! GORGEOUS! Also, totally perfect for me since I'm ready for spring and we are suppossed to get 3-5 inches of snow today. Thanks! You are not alone. My 6 year old burst into tears the other day when I told him it has snowed yet again. I feel ya buddy, I do.